SuccessScore profiles are a powerful way for your executives, managers, and CSMs to get more comprehensive insights into customer health, risk, maturity, and much more. With the new SuccessScore, your CSM teams can proactively engage with customers with precise actions based on customer health indicators and metrics. The SuccessScore allows you to configure multiple profiles that can be applied to different client types. You can create a single profile and assign it to all your client types, but you can only apply one profile to each client type. The ability to build SuccessScore profiles opens the door to gain a greater understanding of your customers’ health. You’ll be able to create customized SuccessScore Profiles for your customer base (based on client type), evaluate that score and then make actionable decisions based on that score. As with the previous SuccessScore, you’ll still be able to create segmented views of your book of business, which provides an overarching view across your customers and where you might need to focus your success efforts. Think of it as a credit score (of sorts) for your customers - the SuccessScore Profiles will give you a number based on a configured group of metrics, weighted to represent the overall health of a particular client type in your book of business. Admins and/or Managers can now configure SuccessScore Profiles (within ClientSuccess) based on a number of criteria or data points with this initial release, listed below. We would recommend you schedule a call with your CSM to discuss some good practices around creating your SuccessScore. 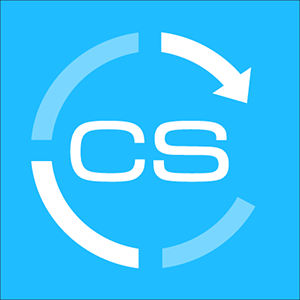 If you do not have a CSM, please reach out to support@clientsuccess.com with any questions. Step 1: The first step is for the Admin and/or Manager to go to Global Settings > SuccessScore and click "New Profile" to being configuration. Step 2: You will then be prompted to name the profile and provide a profile description. Step 3: Once you've named it, you will then need to consider the Client Types that you want to assign this particular profile to. Remember you can create multiple profiles with different data metrics of success, based on your client type. Step 4: Add the metric group(s) by clicking on the "Add Group" button (4a), and naming your group with a familiar name to your company's vernacular for each metric group(4b). Step 5: You will then want to weight your metric groups by simply clicking and dragging the sliding weight button. The weightings will show red until they equal 100% under your metric groups. Step 7: Add a "Label" to your individual metrics that will help anyone looking that the label in the Client's view, what the metric is. Example #1: Last Touch - this metric represents the number of days it's been since the last time you have communicated with a customer. In your health score, you want more points to be allocated to the score if it's been fewer days between communication. So, your min number would be something like 30 to represent 30 days since your last communication, and your max would be 1, representing 1 day since your last communication. Down to 0 points would be assigned to your weighted score at 30 days. Up to 100 points would be assigned at one day. Example #2: Scorecard - This metric simple represents 100 points from the scorecard you built. Your min would be set to 0 and your max would be set to 100 because that is the metric of a Scorecard. The points just happen to be exactly aligned with the way the Scorecard is going to be counted (0-100). For a more comprehensive review of how to configure health score profiles, please feel free to engage with your Assigned CSM. Understand that configuring SuccessScore Profiles is an iterative process; it's ok to make adjustments or revisions as you get a better feel for the criteria or data points you're using to configure the profiles. The historical trend in the SuccessScore app will even track the history if you are adding or removing metric groups. **Note: Client types without an assigned profile will have a SuccessScore simply calculated by the Pulse app. When a Pulse is set, the SuccessScore will (1) recalculate based on the degree of the Pulse being changed and (2) continue to grow or decay depending on the direction of change and time spent at the updated pulse value. This table shows the SuccessScore based on the level of Pulse set. As you dive into this new feature, we encourage you to work with your Assigned CSM to configure an initial profile. Please let us know how you like it or think it could be improved. We’ll look to iterate in future enhancements based on your feedback.